Loading up your backpack and setting off on an adventure down under is a dream for every travel enthusiast. With such diverse landscapes, gorgeous beaches and bizarre wildlife, Australia has been drawing backpackers to its shores for decades. And the country is only growing in popularity as an iconic, bucket-list destination for those seeking out adventure, culture and new experiences. However, as with any great adventure, it’s important to plan diligently to ensure that you not only stay safe but that you get the most from your trip. Choosing the right time of year to explore, the best route to suit your interests and finding activities that will add excitement to your journey are key. Secure financing with travel loans in Australia, from Latitude Finance, and get the ball rolling on your Aussie backpacking adventure. Continue reading below to learn more about what you need to consider before exploring what this stunning country has to offer. Australia is known to have some harsh weather conditions, particularly during the hot summers and during the wet season in the north. Depending on where you are visiting in the country, the weather can have a huge impact on your experiences. Generally speaking, the high season is during the summer months from November to January. However, if you are planning a road-trip through the outback the best time to visit is Australian winter, during July and August in particular. Although the evenings are cold, the days are warm but not too hot. From November to April, the Red Centre experiences heavy rains which can wash away roads and make travel virtually impossible. With so many micro-climates throughout the various regions of the country, it’s important to do your homework so you know when the best times to visit are. The route you choose will depend greatly on how much time you have, and what you want to see. 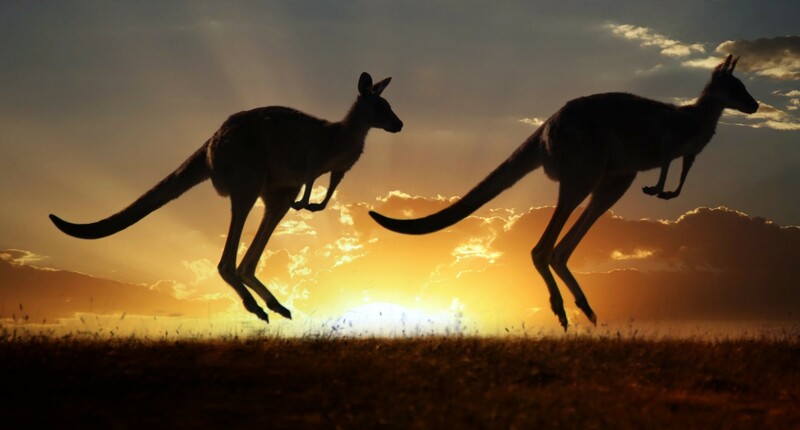 Don’t underestimate the size of Australia, travel times can be long between cities and if you are short on time, flying can save you a lot of time compared with overland travel. On the other hand, if you are planning on backpacking for a few months or more, an overland trip is touted by many to be the ultimate Aussie experience. Traversing the east coast and exploring its beautiful beaches, epic diving and world-class surf breaks has been a long-standing favourite with visitors to Australia. Exploring the rugged and often barren Australian Outback is a unique experience with Uluru and Kata Tjuta National Park, the standout favourite. And, finally, the wetlands of the northeast, near Darwin offer opportunities to visit stunning national parks and see huge reptiles in their natural habitat. While Australia really is a breath-taking country, it’s important to remember that it is not a budget destination. The cost of living is much higher here than other popular backpacking destinations like Southeast Asia and Central America. However, that’s not to say that you can’t still enjoy your time in Oz, you just need to make some smart choices. Team up with other backpackers when you have the opportunity and share your costs. Rideshares are a popular way to make getting from a to b much cheaper and you’ll make friends along the way. Pick up groceries and cook in your hostel kitchen rather than eating out for every meal and forgo a few of those big nights out to reign in your spending. Australia really is a magical country, full of possibilities and countless adventures. You will meet amazing people, witness some of the most beautiful landscapes, sunsets and beaches you could ever imagine and learn about the fascinating wildlife that call this island nation home. To ensure you have the best time possible, be sure to plan your itinerary carefully, set yourself a realistic daily budget and be ready to embrace the magic that is Australia.